The U.S. Bureau of Reclamation recently confirmed Arizona would not face a declared shortage of Colorado River water in 2017. This is good news but Arizona's cities, farmers and industry leaders must continue to plan for an eventual shortage on the Colorado River, which could come as soon as 2018. The U.S. Secretary of the Interior has the authority to declare shortages on the Colorado River. Under current agreements, this occurs when the Bureau of Reclamation projects that water levels of the Colorado River's primary reservoir, Lake Mead, will be below an elevation of 1,075 feet in January of the following year. Lake Mead is currently right at 1,075 feet as the result of a sixteen year drought. Water levels are further exacerbated by the long-standing imbalance created from more water being taken from Lake Mead than what flows into it. The primary reason we averted a shortage declaration in 2017 is because we did not rely solely on Mother Nature. This may sound audacious, but we avoided shortage in large part because Arizona and Central Arizona Project (CAP) led a successful effort to get CAP customers, the federal government, our neighboring Colorado River basin states, and Mexico to consider ways to slow Lake Mead’s declining water levels. The goal has been to keep water levels in Lake Mead from declining and jeopardizing the health of the Colorado River system. 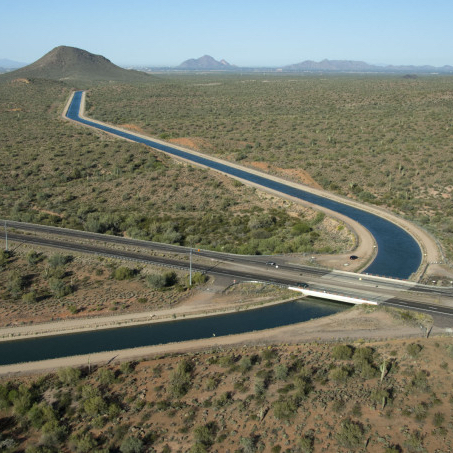 This is especially critical for Arizona because Central Arizona Project (CAP), the state’s main delivery system for Colorado River water, has what is called “junior priority” and must take the first cuts when a shortage is declared. This is why Valley cities are closely following what happens on the Colorado River and in Lake Mead. Here’s how Arizona has pushed back a shortage for now. Over the last couple of years, CAP asked its agricultural and municipal customers to voluntarily leave water in Lake Mead. The target was to store 345,000 acre-feet of water in Lake Mead. This goal will be achieved by the end of this year. As part of this effort, the Cities of Phoenix, Scottsdale, Glendale and Peoria agreed not to take their full allocations of Colorado River water. Also, 11 agricultural irrigation districts in central Arizona agreed to reduce their use of Colorado River water. These voluntary efforts have collectively conserved water in Lake Mead and helped prevent a shortage. Efforts to conserve and intentionally create additional water in Lake Mead should continue and be expanded to slow Lake Mead’s falling water levels. Municipalities are willing to continue to find ways to leave more water in Lake Mead. There are rules about how much water a state can intentionally save in Lake Mead. Despite this obstacle, Arizona should continue to work with its Colorado River partners to find more ways to protect Lake Mead and strengthen the overall health of the Colorado River. This includes finding creative arrangements going forward that provide incentives for cities to leave even more water in Lake Mead. Addressing water challenges is complicated with the devil always in the details. This will certainly be the case as we seek to strengthen our preparation for a shortage declaration. Key to that preparation will be creativity and collaboration, which were central to our efforts to hold back a shortage for another year. Arizona leads the nation in creatively managing its water resources. Among all the western states, Arizona is in the best position to weather the challenges faced by municipal water utilities. That’s because Arizona’s water professionals and leaders in industry, agriculture and municipalities have a long history of working together to solve water problems. Arizona’s responsibility is to continue to collaboratively and creatively tackle our current challenge of how best to protect Lake Mead and the health of the Colorado River so we can continue to use this important water source.